The signs were good for a big aurora event on Friday night, but the day had brought a big snow dump and lots of showers and a full moon was also forecast. My evening plans actually involved a weekend troop Scout camp, and that was my main focus during a hectic day: I’d been able to get the missing groceries we needed, I was reasonably confident we had enough tents and gear … but I’m afraid that taking my good big camera just didn’t even cross my mind. When I got to camp I was just glad that we could set up without getting too damp and without freezing off our fingers. 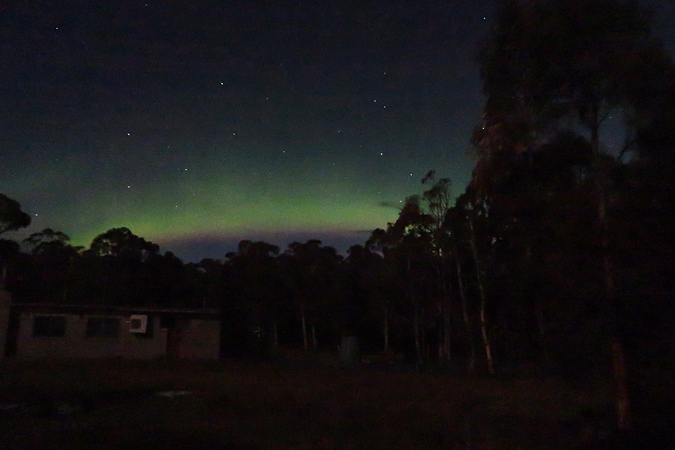 Later in the evening, as the kids were settling, I glanced skyward and noticed a green glow to the south. Having visible colour for us at our latitude of 42° means that it is a big aurora event, and in the following days there were lots of fabulous photos posted to Facebook. As for me, I just grabbed my little camera, cranked up the ISO to 3200 (as high as it goes, but it means the quality isn’t great) and gave it the longest exposure I could (one second, which is not long enough), and did the best I could using a tree stump for a tripod. Not fantastic, but definitely an aurora. One day I’ll be in the right place at the right time with the right equipment and the right freedom to sit up all night taking photos. But I can still enjoy things for what they are when they happen. 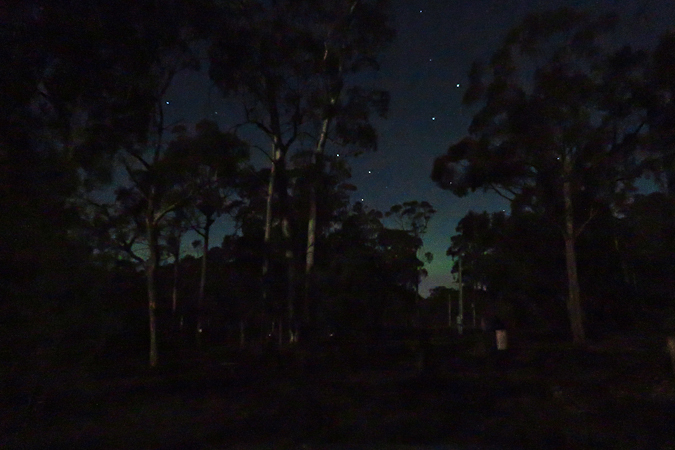 Were you with me when we saw a magnificent pulsing green aurora from our high school camp at Dover? I seem to remember sitting round a camp fire at the time, and maybe marshmallows were present. Can’t remember for sure, but I certainly recall that there were a few good auroras that I saw in my youth.